Can you retrain your subconscious to no longer desire a drink? Download the first 40 pages of This Naked Mind Book Free! This Naked Mind is a mind at peace. A mind that no longer is at war with itself – agonizing about the decision to drink or not to drink. 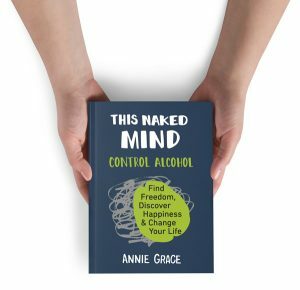 This Naked Mind is a path to freedom from alcohol delivered through a bestselling book and revolutionary audio program. It’s compiled from the most cutting-edge research on alcohol in the disciplines of psychology and neurology; it also examines the influence that alcohol has on our culture and society. It focuses on the dive into the roles of the conscious and unconscious mind in alcohol addiction, suggesting that a person’s unconscious mind has been subjected to a lifetime of conditioning about the benefits of alcohol.